"I am disciplined, physically and mentally tough, trained and proficient in my warrior tasks and drills." TORMENTED by nightmares from a convoy attack during his first deployment to Iraq and driven to compensate with muscles for his shorter stature, Spc. Filipe Hill took this section of the Warrior Ethos a little too far. To help cope with his flashbacks and anger, he worked out up to three times a day, six days a week, during his second tour in Iraq. He always believed pain truly was weakness leaving the body, so he ignored his body's protests when he bench-pressed 315 pounds and squatted 450, until, that is, the day he could no longer hold a dumbbell with his left arm. Doctors in Iraq medevaced him to Germany, where he was diagnosed with nerve damage and four herniated disks. After surgery in February 2009, and extensive physical and occupational therapy, Hill still doesn't have the full-strength back in his left hand-he can barely hold 35 pounds today-and still has muscle spasms. According to doctors, the 29-year-old Soldier has the neck of a 50-year-old man. And when his new wife, who is also an Army specialist, insisted he get help for his nightmares, he was also diagnosed with post-traumatic stress disorder, but he didn't let any of that-nor a painful pulled hamstring-stop him from competing in the first Warrior Games, a unique sporting event designed for wounded servicemembers and cosponsored by the U.S. Paralympics, in Colorado Springs, Colo., last spring. When his squad leader at the Fort Meade, Md., warrior transition unit announced the games, Hill, a former high school track-and-field runner, eagerly submitted his packet for events like the 50-meter dash, 100-meter dash and the relay race. He also agreed to try the 50-meter freestyle swim (later withdrawing due to injury) and wheelchair basketball. He thought it was regular basketball at first, but ended up loving it, although he was disappointed when the Army lost to the Marines in a fierce battle. The Army team walked, or rather, rolled away with the silver medal. The brother of the first U.S. servicewoman to die in the war in Afghanistan said he is relieved to get back her personal effects from an Indiana businessman who bought them and initially refused to hand them over. Not since his days as a Marine in combat in Iraq has Matthew Winters Jr. felt a call of duty like the one he embarked on Tuesday, trying to recover the identification tags, medals and folded burial flag of his younger sister, who was the first U.S. servicewoman killed in the Afghanistan campaign. The personal effects of Sgt. Jeannette Lee Winters, a Gary native, are being held by a northwest Indiana businessman who found himself at the center of a public firestorm when he told the Winters family that if they wanted the mementos back, they'd have to pay for them. But late Tuesday, Mark Perko said he had a change of heart and agreed to hand over the items without payment. "I'm just going to cut my losses on this stuff," said Perko, a used furniture salesman who purchased the contents of the Winters' family storage locker four years ago. "They can have it back if they want it." The brother of the first U.S. servicewoman killed in Afghanistan said he hopes a deal can be made Tuesday to retrieve her personal effects from a businessman who has been trying to sell them. Matthew Winters Jr. said he talked to Mark Perko, of Hobart, Ind., and the two men could meet later Tuesday to discuss how Winters’ family can retrieve items belonging to the late Marine Sgt. Jeannette Winters. Matthew Winters said Perko wouldn’t settle on how much he wants for Jeannette Winters’ property that Perko bought from an abandoned storage unit more than four years ago. The collection includes Jeannette Winters’ funeral flag, her dog tag, military medals and even the Gold Star banner that families of deceased members of the military often display. Perko, who owns a furniture outlet business in Lake Station, Ind., has already rejected an offer of $1,000 and four tickets to a Chicago Bears football game, according to Robert Farmer, executive director of Webb House Inc., which dedicated the Sgt. Jeannette Winters Centers for Homeless Female Veterans last week in Gary. Farmer wants to display the items at the homeless shelter. The ambush happened on a wet afternoon in May 1968 in Vietnam's Quang Tri province. Navy medic Don Ballard was 22, one of the oldest in his company of Marines. They were taking fire when something knocked Ballard's helmet. He was hunched in a crater from an earlier explosion, trying to treat a casualty. He looked down and found a grenade. He shouted a warning, then hurled it as far as he could and went back to work. That's when he saw the second grenade. Unsure how long it had been there and how much time he had until it would explode, he threw himself over it. It was the only sure way to protect his patient. By chance, the grenade malfunctioned, and he survived. He was later awarded the Medal of Honor. "I didn't have a whole lot of time to think about it," he said Monday, speaking at a conference for Navy medics at Portsmouth Naval Medical Center. "But I made a choice." Navy medics - or hospital corpsmen, as they're formally called - are often the service's first responders. On deployed ships, they're usually the lone health care worker. On the battlefield with Marines, they can mean the difference between life and death. It can happen at any moment. This they know in combat. They know the next time they could be the next one put into a box to be sent back home. They know they could be next to get blown up or shot. This is a weight they all carry. When this threat is fulfilled by "friendly" hands, there is no one left to trust. KABUL - An Afghan border police officer opened fire on U.S. troops during a training mission in eastern Afghanistan on Monday, killing six of them in one of the worst such attacks in the past year, according to Afghan and NATO officials. The shooting occurred along the border with Pakistan in the Pachir Wagam district of Nangahar province at a facility to train Afghan security forces, according to Ahmad Abdulzai, a spokesman for the provincial governor. A senior police official said the shooter had been recruited into the border police two years ago. Six US soldiers are dead because of a man they thought was on their side. For two years he worked as a member of the border police in a position of perceived protection of others. He decided to kill instead. When we talk about PTSD the normal suspects causing it are any life threatening events but this type causes more damage. All the witnesses will wonder if they can ever feel trust again. This spans across all deployed troops who will have it in the back of their own minds when they encounter another "friendly" they are not so sure about. This lack of trust will be brought back home with them. They will live as if they were going to die at any moment. Each day will bring either an increased sense of safety as the shock wears off or fear will increase to the point where there is no turning back to "normal" as the only safe emotion to feel is anger. When you can trust no one, barely trust your own family, you begin to build a wall around your soul to protect you from more pain. PTSD comes after one traumatic event in civilians yet we seem unable to understand why it happens to soldiers deployed into combat exposed to traumatic events on a repeated basis. With Vietnam veterans deployed for one year, and in most cases, only one year of service, we saw hundreds of thousands of them diagnosed with PTSD. With these veterans of Iraq and Afghanistan, they have been deployed multiple times and it has begun a lifetime of suffering. Each night they sleep with dreams of what has been and days of what may happen. They are followed by the ghosts they feared in combat. The IED in the road as they drive on their own city street. The suicide car bombers can show up in a traffic jam. They don't sit with their backs to a door because someone can walk in with a weapon. They don't go to movies because they have no defense in the dark with a bunch of strangers sitting behind them. They can't trust their families because they knew them as they were before and they are afraid to tell them what changes have happened inside of them out of fear they will no longer be loved. This same fear causes them to push their families away. They don't want to hurt anymore so they kill off their emotions by drinking or doing drugs. They want to get numb. In the process of killing off bad feelings they prevent good feelings from touching them. When this happens, it makes healing almost impossible. 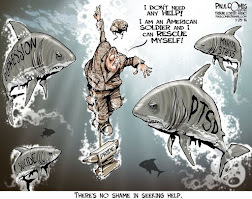 PTSD spreads out to every part of the veteran's life like an infection. It needs to be treated as soon as possible to prevent more damage done to the survivors before it has a chance to take over everything. It is the only way to stop living like they are dying. The state Department of Military and Veterans Affairs agreed to pay $250,000 to settle a negligence and wrongful-death lawsuit filed by the family of a retired Philadelphia police officer who froze to death after wandering from a state veterans home in Northeast Philadelphia. Settlement papers released Friday show that most of the money will go to the estate of Harold C. Chapman Jr. and his two daughters. Chapman, 75, who suffered from dementia and Alzheimer's disease, wandered away from the Delaware Valley Veterans Home, on Southampton Road, at 5:30 p.m. on Dec. 31, 2007. Court records show that a surveillance camera recorded Chapman walking unnoticed past a security desk, wearing pajamas. Ezra Wohlgelernter, the Chapman family lawyer, did not respond to a request for comment. Nor did officials of Military and Veterans Affairs. KABUL, Afghanistan -- An Afghan border police officer opened fire on NATO troops during a training mission in the east of the country Monday, killing six NATO servicemembers before he was shot dead, NATO and Afghan officials said. The shooting -- the highest toll for NATO forces since nine Americans died in a Sept. 21 helicopter crash -- was the latest in a series of shootouts in which Afghan security forces have turned on their NATO partners. The attack also highlights the potential hazards of a push to speedily expand Afghanistan's army and police forces in the next few years. The goal is to turn over the responsibility for nationwide security to Afghan forces by 2014 so that NATO troops can go home. The shooter was wearing an Afghan border police uniform, NATO said, but did not provide additional details on how the shooting happened or his identity. A spokesman for the Afghan Interior Ministry, Zemeri Bashary, confirmed that the gunman was a border police officer, rather than an insurgent who had donned the uniform to infiltrate government forces. The incident happened in Pachir Wagam district of Nangarhar province -- right on the border with Pakistan, Bashary said. Is it possible he is lying? Sure but it is more possible he's telling the truth. The Army points to his marriage and the fact he got a degree but if he has a supportive/aware wife, they can have a successful marriage. As for the degree, if he managed to figure out a way around short term memory loss, again, there is nothing odd about this at all. That's the problem with a lot of claims. If they see you as able to do the things you are not "supposed to be able to do" then they say you are lying about suffering. On the other hand, they also expect soldiers to be able to be redeployed into combat on medication to help them function. In other words, they think these medicated soldiers can do what they are not supposed to be able to do. Read any of the warning signs on some of the medications they are given by the DOD and you'll know what I mean. Staff Sgt. Francisco Carrillo was a squad leader on patrol in Iraq searching for weapons and insurgents, riding in the lead vehicle of a convoy when an improvised explosive device ripped through one of the Humvees, injuring his platoon sergeant, another squad leader in his company and the gunner. That was five years ago. Today, Carrillo is locked in a battle with the Army. He says he has suffered symptoms of post-traumatic stress disorder since he returned from the deployment in 2005. The Army says he’s lying. Carrillo, who has 18 years of service, is seeking medical retirement. But a panel of doctors at Madigan Army Medical Center said the California National Guardsman with the 649th Engineer Company lied in his Fit for Duty Evaluation and faked PTSD symptoms to collect the benefits that come with medical retirement. 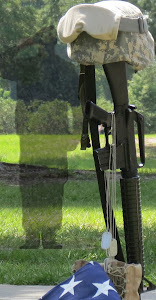 Army Staff Sgt. Salvatore Giunta’s life has changed forever, said retired Maj. Gen. Patrick Brady. He should know. 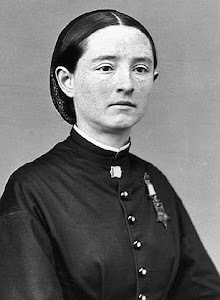 Like Giunta, Brady also earned the Medal of Honor. Retired Col. Roger Donlon agrees. He, too, earned the country’s highest military honor. It literally changed his life: Donlon even attributes the medal to helping him find his wife of 42 years. “When she saw me in that picture in the paper, she told herself that she has to meet this gentleman. That’s what started it, unbeknownst to me,” said Donlon, who met his wife, Norma, after the two happened to sit next to each other on a plane. Life as a regular soldier in the 173rd Airborne Brigade Combat Team ended for Giunta on Nov. 16, when President Obama draped the Medal of Honor around Giunta’s neck. 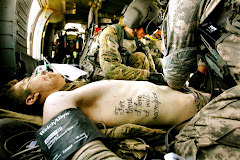 He earned it for his heroics in a brutal firefight in Afghanistan’s Korengal Valley on Oct. 25, 2007. Entry into the Congressional Medal of Honor Society isn’t always what it might seem, said three living recipients of the medal. 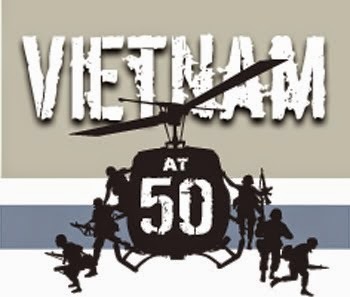 “We always say it’s tougher to wear the medal than to earn it,” said Brady, who earned his in the Vietnam War after piloting a UH-1 Huey and rescuing 51 wounded soldiers surrounded by North Vietnamese soldiers on Jan. 6, 1968. Peter Lemon, also a living recipient, avoided the attention altogether for 13 years by putting his medal away. “I went about my life as normal, worked, went to college, went into business because I put the award in a shoebox in the closet,” Lemon said. Lemon earned his medal as he fought off a 400-man assault alongside his 18-man platoon at a fire base in Vietnam’s Tay Ninh province on April 1, 1970. He shunned the award, saying he was only one of 18 and they deserved it, especially three soldiers who died, just as much as he did. Forty years later he said wearing the Medal of Honor is a responsibility — not a choice — and the responsibility is weighty. “The Medal of Honor as a symbol can sometimes be larger than you are as an individual,” he said. FORT WAYNE, Ind. (Indiana’s NewsCenter) – A handful of protestors from the Westboro Baptist Church in Topeka, Kan. picketed at the funeral of Staff Sgt. Kevin Matthew Pape on Friday. But they were far outnumbered by the dozens of people who showed up to support Pape and speak out against the controversial group. Ask any expert on the Vietnam War and they will tell you that the troops never lost a single battle. While that was true during war itself, there is one more battle that is still not over. 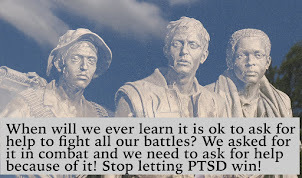 It is the battle against PTSD. This one is not just about them but about all veterans sent into combat, by draft or willingly, then abandoned by the same country they risked their lives for. 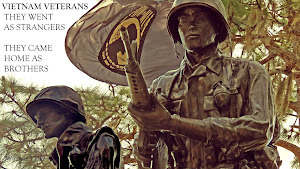 : The Vietnam War was the prolonged struggle between nationalist forces attempting to unify the country of Vietnam under a communist government and the United States (with the aid of the South Vietnamese) attempting to prevent the spread of communism. Engaged in a war that many viewed as having no way to win, U.S. leaders lost the American public's support for the war. Since the end of the war, the Vietnam War has become a benchmark for what not to do in all future U.S. foreign conflicts. Some people think this battle began in the last 9 years when the troops were sent into Afghanistan but the truth is it only increased the numbers of veterans with PTSD. It has become a fight to save the lives of generations of veterans and it is a battle they will not lose. MUSCLE SHOALS - Sitting alone on the edge of his bed, Herchial Allen held the barrel of his .357-caliber pistol in his mouth and prepared to pull the trigger. Suddenly he heard the voice of his young goddaughter calling his name. The gun fell to the floor and he sat in silence for a long time, realizing he had only imagined her voice. Hearing the voice, at least for the moment, saved his life. But Allen remained broken and feeling hopeless. The year was 1998, a year after he retired from Reynolds Metals Co. Within days, the Vietnam War veteran from Muscle Shoals was in treatment for post-traumatic stress disorder, or PTSD. Thirty years later, flashbacks from the war had started coming regularly. 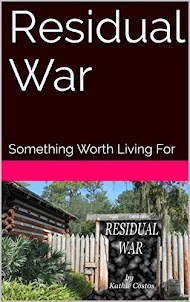 The flashbacks from his time in Vietnam in 1966-67, combined with a constant state of nervousness and anxiety, seemed to take over his life once he retired and was no longer busy. Allen's eyes fill with tears and his voice quivers while recalling the experiences that brought about the flashbacks — the likes of entire villages blowing up in flames with elderly people and children trapped inside grass huts. They are the kind of images one never forgets, he said. Arriving before dawn, a contingent of the Florida National Guard's 53rd Infantry Brigade Combat Team arrived in South Georgia on Sunday after serving much of the year in Kuwait and Iraq. Returning soldiers called out their hometowns — Orlando, Tampa, Tallahassee — as they walked from a chartered jet at Hunter Army Airfield near Savannah. Carrying backpacks and rifles, the 150 men and women on the flight were the first of 2,500 members of the unit scheduled to return home by late December, said Lt. Col. Ron Tittle. "Most were responsible for security operations in Kuwait and escorting convoys into Iraq," said Tittle, who filmed Sunday's return for the National Guard's Facebook page. "The plan is to get them all home before Christmas Eve." 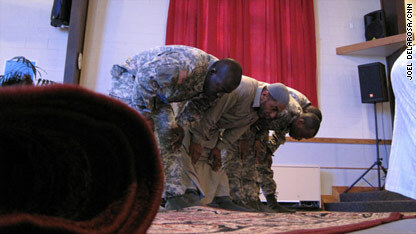 Most of the returning soldiers were heading to military schools after a "Welcome Home" ceremony and five-day demobilization at Fort Stewart in southern Georgia. They were mobilized in January when the unit left Florida for training at Fort Hood in Texas before flying to Kuwait in March, according to the National Guard. Two members of the unit died during the year. This is a very twisted country at times. The same people saying we are a "Christian" nation complain about people being lazy, wanting to live on the streets, eat in soup kitchens, beg for spare change and suffer harsh weather along with harsher stares. It matters not to them how these people became homeless or that this group of our own people arrived living under the stars after they served the stars on the flag of this nation. 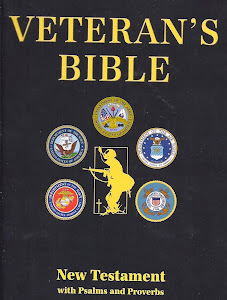 To the "chosen of God" believing that they have all they have because God thought they were worthy and everyone is deserving of being a wretched soul suffering, they should be thankful they do not receive what they deserve when they turn their backs on our veterans. Christ said there is no greater love than for a man to lay down his life for the sake of his friends, and this these men and women were willing to do, yet we leave them like trash on the street. We always want someone else to get them out of our site so that our eyes no longer have to see them, walk past their hands reaching out for some spare change and far enough away from them so that we can't smell their dirty clothes. 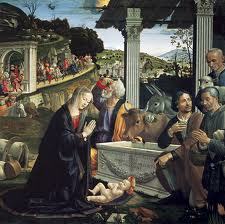 After all they ruin our day when we have shopping to do to celebrate the birth of the Holy Child Christ on Christmas. We have sales to spend our money on and paying attention to the way they live may cut into our happiness when we buy ourselves a much deserved gift for ourselves. We can manage to think of someone we HAVE to buy a gift for as we search for the cheapest price then act as if their happiness was all that mattered when they open it but we can't manage to do anything else Christ talked about. After all, this is Christmas so what He said, what He preached, has absolutely nothing to do with our homeless people any more than it has to do with our homeless veterans. Is is much was given to them as soldiers in terms of chow, clothing, shelter and weapons when they served so now they should ask nothing more of us? Is it that they were given so much bravery so they should pick themselves up by their "bootstraps" and get another job now that they cannot do their job as a soldier? Hmm, maybe it is the part about beaten that allows us to walk away? Or, dread the thought, much was given to us if we are rich and have plenty and we are supposed to share, take care of the poor and needy the way Christ preached? Last night I was with a church group on a bus and was talking to a young man with much love and potential. We were talking about the people who believe they were chosen to be wealthy because God thought they deserved it. They take that attitude and believe that the poor were chosen to be poor because God thought they deserved to suffer. 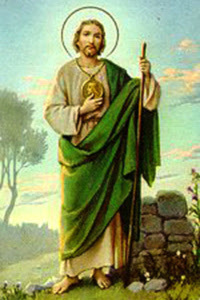 They never stop to think about Christ coming into this world as a child of poor parents, how He was homeless, depending on the kindness of strangers for Him and His 12 friends as they traveled to spread the good news about God's love for them or how He found more value in a poor widow's two cents than the tiny portion of a rich man's wealth. They have short term memory loss because most Sunday's there is a bit of preaching going on about love, compassion, charity and giving someone hope but they forget about it when it comes to the poor. For them they won't read something like this because they already made up their minds that our homeless and especially our homeless veterans want to be that way. The truth is most of them wouldn't be on the streets if they didn't serve this country. Post Traumatic Stress Disorder caused most of what they ended up losing but we see a drunk or a drug addict. They used to wear a uniform but we see worn out dirty clothes. Their lives used to matter when it was time for someone to go to some strange country and fight our battles but they outlived their usefulness long enough to become a burden to polite society with shopping to do for Christmas. They have been beaten down and our appreciation wore out as soon as they got back home. When they would rather live on the street than stand in line at the VA, it shows just how twisted this country has become but no one else noticed but them. The part that should shock all of us is that no matter how we treated them, they do not regret risking their lives for us and would do it all again for our sake. They were given the "greater love" allowing them to be willing to lay down their lives, but that love was never returned to them by the rest of us. A nonprofit sends a crew out to feed, befriend and console soldiers and sometimes talk them into housing. 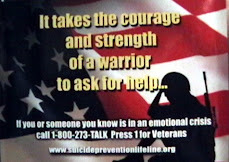 The group also runs a crisis hotline and bushwhacks through bureaucratic jungles for weary vets. Out near LAX, a dozen military veterans man a war room, strategizing day and night. 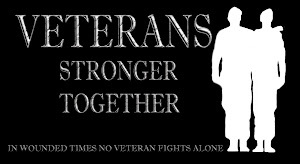 Their mission is to bring other vets in off the ledge, to gather them up from the streets and shake the dust off them. With a budget of just half a million dollars a year, the team of "wild cowboys" is intent on saving lives, says the general of the nonprofit National Veterans Foundation -- an Alabama-raised, Lebanese Catholic Vietnam vet named Floyd "Shad" Meshad. Meshad used to have a big job at the West L.A. Veterans Affairs complex, but he's a guy with no patience for bureaucracy, so he had to get out, way back in the 1980s, and start his own thing. His outfit runs a crisis hotline and bushwhacks through bureaucratic jungles for weary vets. Twice a week, his crew heads out to Venice, Hollywood and skid row in a big white van stocked with provisions, fishing for soldiers sleeping on cold pavement and in damp ivy beds. They feed them, befriend them, console them and sometimes talk them into housing. "I'm going through a lot of depression," Vietnam vet Vince Sylvester recently told Meshad's platoon at a park in Hollywood, saying he still hasn't gotten over the loss of a combat buddy who died "in my arms." Sylvester said he was shot in both legs in Vietnam and had been homeless for three years until getting an apartment three months ago. He won't go to the VA unless he has to, Sylvester said. It's too much of a runaround. On Hollywood Boulevard, Vietnam vet Rex Baker leaned on a cane as he panhandled. He said he'd been homeless for four years, but wouldn't dream of going to the VA and standing in line for services. Meshad and his staff get this all the time. 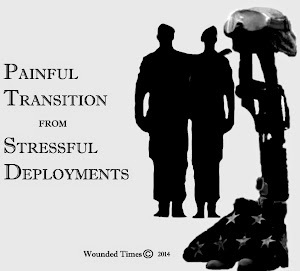 For a lot of soldiers, going to the VA is less appealing than going back to boot camp, even after they finally admit they need help. It's not that the VA doesn't have good people doing great work, Meshad said, and he applauds the vow by agency chief Eric Shinseki to bring all homeless veterans in from the cold in five years. The problem, as Meshad sees it, is that the VA is too big, too bureaucratic and too overwhelmed. And we haven't yet hit the anticipated wave of banged-up vets coming off multiple combat deployments in Iraq and Afghanistan. When you read this, it gives a clear message about those who have plenty and those who have nothing. Jesus talked a lot about the poor and needy. He had no patience for the greedy rich or for those who did not see their wealth as something to be shared with others. Maybe this Christmas as you go shopping to buy things for others and yourself, you can think of what this season of love is supposed to mean and try to live up to the Son who was born in a town called Bethlehem. As the wars in Afghanistan and Iraq continue, more and more American soldiers are surviving impossible injuries as the result of improved medical treatment and state-of-the-art rehabilitation. At home, each seriously injured vet faces another kind of battle – a life filled with daily needs and unending challenges. Many of these young men and women won't be able to make it on their own without some kind of caregiver assistance. Who is going to care for them? Who cares for the seriously-injured young soldier once he's home? 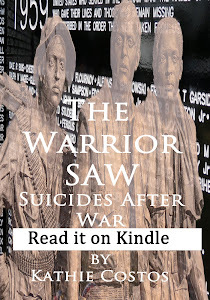 Who picks up the pieces of a soldier's shattered life? 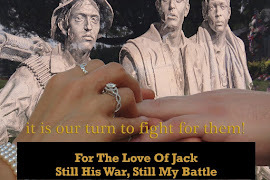 How does a mother or father cope when a traumatically-injured son or daughter returns home from war with a diagnosis that could last a lifetime? It's time for America to wake up and recognize these injured soldiers and the unsung heroes of war – the mothers, fathers and other family relatives that respond to the call of caregiver. Which is why this bill is so important. (CNN) -- A lightning strike killed seven people -- including a 4-year-old child -- at a nursery school Christmas party in South Africa, a government spokeswoman said Saturday. Forty others were injured when the lightning struck in KwaZulu-Natal Friday afternoon, said Mashu Cele, a spokeswoman for the province's social development department. She figured she could pull it off at the U.S. Military Academy at West Point, too. After all, “don’t ask, don’t tell” sounded a lot like how she had gotten through her teen years. But something changed when she arrived at West Point two years ago. She felt the sting of guilt with every lie that violated the academy’s honor code. Then, near the end of her first year, she found herself in a classroom discussion about gays in the military, listening to friends say gays disgusted them. What she has become is an unlikely activist for repealing the ban on gays serving openly in the military. She resigned from the academy in August and within days was one of the most prominent faces of the debate. Yet her greatest hope now is that she can return to the place she just left. Do Marines die for each other? Would they put their lives on the line any less if they knew one of their own was gay? Would they turn their back on a female Marine? There was a time when women were not welcomed. There was a time when someone of a different color was not welcomed. In each case the Marines managed to rise above all of it and as this piece mentions they are the, "smallest and arguably the most tight-knit of the enlisted forces." Other nations have no problem with gay people serving. They know that as members of the military, they are willing to die for all of their countrymen and not just the ones they approve the lifestyles of. OCEANSIDE, Calif. (AP) — They are the few, the proud and perhaps the military's biggest opponents of lifting the ban on openly gay troops. Most of those serving in America's armed forces have no strong objections to repealing the "don't ask, don't tell" law, according to a Pentagon survey of 400,000 active duty and reservists that is scheduled for release Tuesday. But the survey found resistance to repealing the ban strongest among the Marines, according to The Washington Post. It's an attitude apparently shared by their top leader, Commandant Gen. James Amos, who has said that the government should not lift the ban in wartime. "We've never changed our motto. We've never changed our pitch to new recruits. We have hardly changed our formal uniforms in 235 years," said Marine Reserve Lt. Col. Paul Hackett, 48, who has been in the Corps for 25 years. "We are a religion unto ourselves, and we pride ourselves in that." Marine Cpl. Phillip Duggan is out of the hospital and made a toy donation Saturday, friends said, 24 hours after he was attacked by a suspected shoplifter outside Augusta's Best Buy. AUGUSTA, GA -- A Marine collecting donations for Toys for Tots at Best Buy in Augusta was stabbed in the back Friday afternoon while helping to catch a shoplifting suspect. Police have identified the injured Marine as 24-year-old Cpl. Phillip Duggan. Duggan and three other Marines were outside collecting donations for Toys for Tots. An “expert” just came out and set us back 40 years on PTSD. He thinks there is no effective treatment and that time will take over. In other words, “get over it” leaving veterans to think there is no hope again. Here we have a major line of BS from an “expert” on PTSD. Wrong. There are many different programs that do in fact help them heal. There is no one size fits all in anything but there are programs that do help. In other words, treatment is not elusive. So far a “cure” is elusive but not help or hope. “Time is the only truly effective treatment, but it is not universally effective,” he said. Those with full-blown PTSD reportedly have a 50 percent chance of recovering within 30 years. For others, it could take longer. Time works fine after a shock for some people but that depends on a lot of factors like if it seems to ease up within 30 days. 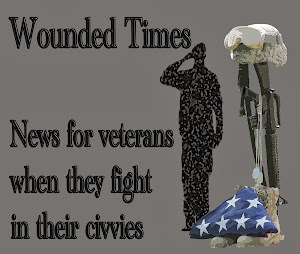 Time does more damage when it is Post Traumatic Stress Disorder and it is allowed to get worse like an infection that spreads out digging deeper into the life of the veteran. read more here, it gets worse. ADRASKAN NATIONAL TRAINING CENTER, Afghanistan — If he were back home Thursday, Marine Lance Cpl. Chad Berry would have eaten turkey and ham at the home of one of his sets of grandparents in Tennessee. If it was his father’s side of the family, they’d go deer hunting after dinner, then come home and eat some more. Best news I've heard in a long time! 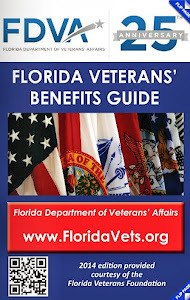 Just goes to show that there is still hope down here in Florida to get it right when it comes to our veterans. Judge T. Patt Maney, Rep. Bryan Nelson, and Senator Mike Bennett want to make sure PTSD combat veterans are given help when they need it instead of just being locked up in jail. Lawmakers are testing the waters for a statewide court initiative for certain veterans just as judges in Palm Beach County are directing offenders who served in the armed forces to a veterans-only court docket. In Okaloosa County, Judge T. Patt Maney has been working a veterans’ docket for more than a year, and last week, Palm Beach County launched its own veterans’ court effort. 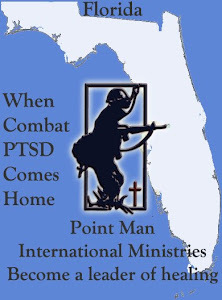 But Rep. Bryan Nelson, R-Apopka, and Sen. Mike Bennett, R-Bradenton, are proposing that all Florida court circuits start dealing with veterans with post traumatic stress separately from other offenders. “I guess there’s a few other states that have them, and golly, why don’t we have one?” Nelson asked about courts specifically for veterans. Nelson and Bennett, who is a Vietnam veteran, are sponsoring HB 17/SB 138, which directs the state’s courts to create a system where veterans with post traumatic stress disorder are identified through a preliminary screening process and then shuttled to a specific docket where a judge can sentence the veteran to a treatment program, rather than jail time. When you tell a Marine they need to do yoga or meditate, they think you're the one with the problem. Yet when they understand they had to train their mind and body to respond to combat situations, they must now train their mind and body to relax again, they get it. Stress and anxiety is a big part of PTSD. Learning how to relax plays a big role in healing. They need to take care of their minds, bodies and spirit. Each one connected to the other just as each part of them was exposed to the traumas of combat, all of the person needs to be taken care of. A Royal Air Force pilot has received the highest military flying honour for picking up five seriously-wounded soldiers despite his helicopter being badly-damaged in a Taliban attack. Flight Lieutenant Tim Pollard received the Distinguished Flying Cross for his heroics on the battlefield in Helmand Province, Afghanistan. His twin-rotor Chinook was hit by an insurgent's bullet which damaged the rotor brake cylinder, spraying him with highly flammable hydraulic fluid. Ignoring the risk of the cockpit bursting into flames, he courageously landed the helicopter to pick up the severely-injured troops. His selfless bravery and coolness under pressure during the incident earned him the gallantry award. 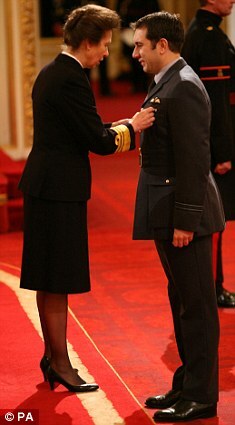 He was given the prestigious medal in an investiture ceremony at Buckingham Palace today. Ft Lt Pollard was part of the British Armed Forces' Immediate Response Team, which is deployed to evacuate and treat the most serious battlefield casualties in a specially-kitted out Chinook helicopter. Effectively an operating theatre with rotor blades, it carries a four-man medical unit to deal with Category A casualties - those who cannot walk and are at immediate risk of dying. On December 15 last year, Ft Lt Pollard was scrambled to pick up five grievously-wounded soldiers when a Taliban suicide bomber on a motorcycle detonated himself at the vehicle checkpoint in Sangin, Helmand Province. Two British servicemen - Lance Corporal David Kirkness, 24, and Rifleman James Brown, 18 - and two Afghan soldiers later died from the injuries inflicted when they tried to stop the insurgent blowing up a market packed with civilians. WASHINGTON — Rolling Thunder won't let a fire stop its longtime mission of educating visitors to the nation's capital about soldiers still unaccounted for from the Vietnam War. An accidental blaze this week, likely caused by a leak in a propane heater, destroyed a kiosk that has sold mementos for nearly 20 years, but that, more important, gave Vietnam veterans who manned the booth around the clock a chance to talk to people about their brothers still considered missing. 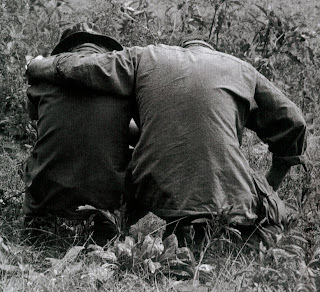 "You wouldn't believe the people that come up to you and ask, 'What does POW-MIA mean?' " said Walt Sides, a founder of Rolling Thunder and a Marine Corps veteran from Leesburg, Va. "That's why we're there — to get the word out." He said the group plans to rebuild with an identical booth that also used to stand at the site near the Vietnam Memorial. All that was left after the fire was the shell of the kiosk and charred debris, including POW bracelets and a flagpole with the tattered remains of an American flag. The memorial, which honors recipients of the Purple Heart, was damaged by vandals sometime between noon Saturday and 11:30 a.m. Wednesday, deputies said. A recently dedicated Flagler County memorial honoring wounded soldiers has been defaced, deputies said. Deputies said they aren't sure when vandals struck the memorial, which honors recipients of the Purple Heart and was recently installed in Heroes Park on Palm Coast Parkway. A deputy on a routine patrol noticed Wednesday that the memorial slab had been pushed off its foundation. Deputies said the memorial is valued at $7,000, and was donated by the Palm Coast Purple Heart Chapter 808. Editor's Note: By CNN's Robert Howell in Killeen, Texas. In March, CNN's Soledad O'Brien will be premiering a documentary about being Muslim in America, looking at the controversy over the building of a mosque in Murfreesboro, Tennessee. When Wagdi Mabrouk heard the news about the shootings on Ft. Hood he remembers thinking how close he was to the alleged shooter. "Nidal Hassan, I knew him very well. I prayed right beside him." Mabrouk, a retired command Sergeant Major was overseas for work on Nov. 5, 2009 when Major Nidal Hassan allegedly opened fire on this base of over 50,000 soldiers. Though so far away, the news hit very close to home. "It happened right outside our backdoor, it was unbelievable, it was just unbelievable. It just took us by surprise," Mabrouk said. Hoping to help heal the emotional and spiritual wounds that still remain from the tragic events of last year, Mabrouk now serves as a Distinctive Faith Group Leader on Ft. Hood, leading Friday prayers at the interfaith chapel on post. "We have practiced this peaceful religion for over 1400 years and nothing in the past, since the beginning of Islam, would give us any idea that this is the right thing to do for whatever reason," he said. FRANKFORT -- As the holiday season nears, the residents of a Frankfort nursing home are reaching out in hopes of making a difference. The Vineyards at Concord residents have prepared more than 300 Christmas cards stuffed with a hand-colored picture and poems to lift the spirits of deployed soldiers. 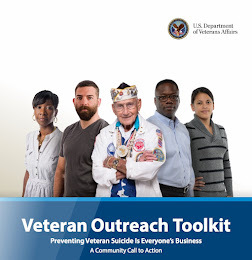 While many send cards or other items to the troops, the Vineyard project was spurred by a news story about the increasing rate of suicide among military personnel -- it's almost doubled in the past five years and now exceeds the national average. Facility manager Robbie Ann Smith and activities director Debbie Williams said one part of the story stuck out -- that some of the men and women, like others with depression and thoughts of suicide, feel like nobody cares. "They felt nobody cared about what they were doing, so Debbie and the residents were really upset about that and wanted to show they care," Smith said. Williams is hopeful others will reach out with cards. I've read a lot of twisted opinions on gays in the military but this one blows my mind. When they are discharged for being gay, that in itself sends the message they are expendable. 1. (of an object) Designed to be used only once and then abandoned or destroyed. 2. Of little significance when compared to an overall purpose, and therefore able to be abandoned. Other nations seem to be able to understand that gay people should not be treated any differently than anyone else but in this nation of supposedly equal rights for all, the government is telling gay people they are not included in the deal. Being gay is not a choice but they do use their freewill right to choose to serve in the military, risk their lives and yes, even willing to die for the sake of someone else. There was a time when the color of a man's skin prevented them from serving in the military. Women had to dress up like men in order to serve and hide their gender. Double standards still live on. The debate itself tells the other nations we depend on that their soldiers are not up to our standards when they allow gay people to serve without any problem at all. While the U.S. adheres to a "don't ask, don't tell" policy toward gays in the military, its staunchest ally across the Atlantic is nine years removed from dramatically changing its own stance toward gay and lesbian service members – allowing completely open military service without fear of reprisal. And nearly a decade after the policy shift, the U.K.'s Independent reports the British military and its members have grown pretty comfortable in their own skin. Openly gay service was allowed in 2000 after a two-year court battle involving four service members that was eventually settled by the European Court of Human Rights. Since then, the report details a steady progression toward fuller openness – from initial reluctance on the part of gay service members to "out" themselves, despite the rule change, to eventually marching in Gay Pride parades and moving into military housing with their partners. We are supposed to be a nation of equality and generation after generation has had to fight for that to happen. When it comes to the military, they should never have to fight to be seen as equal to everyone else putting their lives on the line for what this country claims to be in the first place. How much is the life of an American soldier worth? When does a soldier become expendable? Those are the questions we need to ask in the coming days as the government considers repeal of the military's "Don't Ask, Don't Tell" policy regarding homosexuals in uniform. A wounded soldier in Afghanistan will find himself airlifted halfway around the world for treatment within hours. In this, we see the admirable care and great value given to American lives. Such solicitude on the battleground is not shown off the battlefield, however. It seems there are times when the American solider becomes expendable. This is particularly the case in the raging debate over "Don't Ask, Don't Tell." Everything is centered on a Dec. 1 report the military will release analyzing the impact of its repeal on the armed forces. The liberally sensitive results of this "analysis" are so predictable it's almost senseless to go through the trouble to release it. Everything that has leaked out about the process indicates the report will discuss how to repeal - not whether to repeal - the ban on homosexuality in the military. It will conclude that inclusion of open homosexuals in the military will not have significant adverse effects. It will conclude that the soldier is expendable. He can be used for social experiments. He can be penalized for the religious values he holds. He can be deprived of the freedom for which he fights. A gay serviceman/woman, will find themselves being airlifted halfway around the world surrounded by soldiers from other nations where they would be welcomed only to be returned to their own country where they are a topic of debate because some use a religious belief they have to stand in judgment over something Christ never talked about in this same nation where all are supposed to be able to worship according to their own beliefs. They will quote from Acts and what Paul wrote but never consider the fact this is the same man so sure of what he was doing, he hunted down Christians wanting them to die before Christ opened his eyes. He got that wrong and he got a lot wrong after. But we're not supposed to be about a nation of one church, one belief or one set of rules for some with another for a different group. We're supposed to be a nation of equal rights for all. FORT WORTH – Marine Cpl. Zach Briseno jokes that he's taller since returning from Iraq – although he's most grateful that the prosthetic legs that add several inches to his height allow him to chase after his 5-year-old son. Although he'd never complain, it has taken time for Briseno to get used to life after losing his legs in an explosion, and it's not easy for him to move around his apartment in his wheelchair. That's why a nonprofit organization is providing him with a home that will have wider doors, lower counters, a special shower and other safety features. "It's truly a blessing for me and my family," Briseno said this week as relatives and friends surrounded him on the lot where the home is to be built by next spring. HelpingaHero.org, a Houston-based nonprofit, has provided nearly two dozen new homes for veterans severely wounded in the wars in Iraq and Afghanistan. Each project is a partnership with a developer and builder and supported by individual donations from the community, said Meredith Iler, the organization's chairwoman. PTSD does not know nation from nation. It does not know anything other than a human exposed to traumatic events is a target. A 26-year-old soldier from Cheshire has told how he was being medically discharged from the Army after developing post traumatic stress disorder as a result of his experiences in Afghanistan. Private Mitchell Tyler - who was born in Oberon, New South Wales, Australia, but moved to Sandbach at the age of 14 - said he suffered panic attacks, depression and had undergone a "dramatic life change". Private Tyler, whose wife Larissa, 25, is a member of the American National Guard and comes from Chicago, Illinois, said he had to return from Afghanistan in June after seeing another soldier killed. We understand when a civilian cannot "get over it" when they are exposed to one traumatic event in their lives but we fail to understand when soldiers are exposed over and over again. Is it because we want to believe they are trained to overcome anything? That they are better prepared for all they have to go through? We fall apart when someone we love, someone we care about dies, yet we don't seem to be able to acknowledge the soldiers see someone they care about killed by bullets and bombs. We fall apart after a car accident, yet we can't seem to understand that they go through having bombs blow up vehicles in Iraq and Afghanistan. We get to move on with our daily lives as close to normal as possible but they have to spend their days with the threat of more traumatic events hanging over their heads. Even when their tour is over, they know they can end up going back over and over again. For them the trauma does not end and they carry it all with them while they are expected to just get over it. Today people go to shelters and their church to take care of the homeless. 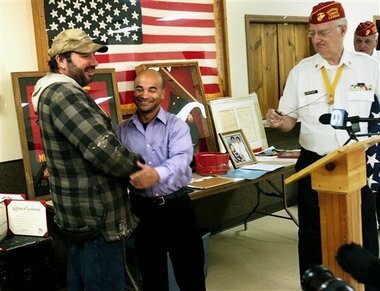 Among the people in need are veterans. Here's two stories. Today people care, want to share what they have, spend time with them, but tomorrow they will still be homeless but few will help. John Martin, the Director of the Salvation Army, said this woman's situation is just an example of the homeless crisis in El Paso. "We have 1,400 homeless people in El Paso, and those are not the individuals that you think about, the ones that are in the street corner asking for a dollar or two. These are families. Just two days ago, as an example we had a family of 5 that were living in their car at the parking lot at a Wal-Mart". EL PASO, Texas -- The homeless woman living in her van inside the Cortez building garage, who investigators say started a fire Monday night is a military veteran. A Fire Department Spokesman identified her as 57-year old Queen Astro Martin. John Concha said Martin showed investigators her military ID. Concha said Martin had paid the monthly fee to park her van inside the building garage and was living there. She was trying to fix a propane heater, when the propane leaked out, and in seconds, engulfed her van and two other cars in flames. She managed to crawl out of the car, but suffered second degree burns on her wrists and flash burns on her face. "Just evacuating is very stressful when you're having a fire so for her to be able to evacuate during that situation is very amazing...she's very lucky", said Concha. 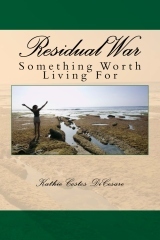 Martin was referred to the Red Cross, who then took her to the Salvation Army for shelter. She arrived there at about 3am, said, John Martin, director of the Salvation Army branch in El Paso. 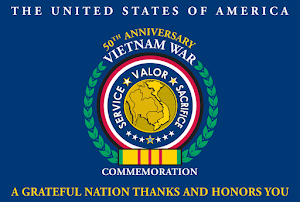 WASHINGTON (TEWIRE) - Like many men and women who have served their country proudly before coming home, Samuel Hinton wondered where the warm reception was when he arrived back into the United States after serving in Vietnam. There was no warm and fuzzy feeling or grand reception after his nine-and-a-half years as an infantry man and finance specialist. Now, decades later, as yet another Thanksgiving week is here, life hasn't grown much warmer. Hinton and his wife are among the thousands of homeless people who wander the streets by day and sleep in doorways and shelters by night - when shelters are open and available. On Thanksgiving Day, the couple who live in Silver Spring, Md., will no doubt be offered plenty to eat from generous donations of caring people. But, like others, the next day, they are back on the streets again, determined to maintain dignity while leaning on fellow human beings. Which image do you think reflects what is happening in America this year? Is it the first with a big family saving a seat for you with a table full of food? Is it the second one when a solider has returned home? Or is it the third one when a woman is alone clearly using the coat of a soldier to keep warm? When we think the rest of the country will spend Thanksgiving Day with much to be thankful for, it makes our lives pretty depressing if we do not have the ability to celebrate the day the same way. It is hard to find reasons to be thankful at all. When we read about foreclosures, it is hard to take comfort knowing we are close to it ourselves. There is no hope in more joining us suffering than getting out of the suffering. Read about people losing their jobs, running out of unemployment, losing all they worked hard for, and it is nearly impossible to avoid thinking that we could end up the same way. So what is it about us that makes some of us rise about whatever hardship we encounter? What makes some of us so different? Norman Rockwell found that something and he used that gift to help others see not only what is wrong but inspire what is possible so that the hopeless find reason to hope again. 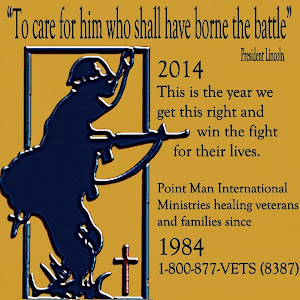 When we read about veterans suffering because of Post Traumatic Stress Disorder, it is easy to feel hopeless. After all, given how long this has taken a toll on the men and women fighting our battles, we realize that we've only taken baby steps to address this wound. 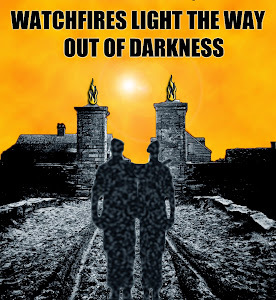 Read about suicides and those reports replace the one you read about a few days before about a veteran coming home, feeling that hopeless, but ending up rising above all of it to stand as a testament of the human spirit, healing and helping others. Read about a veteran in jail and you forget that another state has added Veterans' Courts so they are taken care of properly. Read about anything bad and it is easy to forget anything good. Life is like that too. If we think of what we don't have, we stop seeing what we do have to be grateful for. My family by blood are all gone now. My Dad passed away in 1987, then I lost one of my brothers, followed by Mom and then another brother. My husband's family are all gone as well. My daughter is moving back home, so this is a really sad Thanksgiving for us but it isn't as sad as last year. My dog was very sick and we knew he wouldn't be with us much longer. We didn't want to leave him, so it was just the three of us watching over our dog. This year we're going to have dinner with friends. A Vietnam vet my husband served with and his wife invited us over and we are grateful they did. We know what feeling lonely can do when you have memories of family and friends who used to share your life. While they are gone now and so is my dog, I love the memories I have of them and grateful for the time we had together. What a blessing they all were to my life. I am grateful for friends still close no matter how many years have passed. Grateful for the daughter, my joy, who graduated with a Bachelor's Degree and is already making her mark as an adult. Yet I am most grateful for the man I married over 26 years ago and the fact he has lived with PTSD since he came home from Vietnam. How many obstacles he's overcome, hardships, heartaches and sleepless nights, they are impossible to measure but just as hard as it is to measure his suffering, it is even more impossible to measure the strength of his character, the quality of his heart and the spirit of his soul. I can look back at all the pain that has come into our lives but that would rob me of the memories of all the joys we share. We can all look at what we lack this year, but then we lose memories of what we once had and that takes away the hope that better days are possible. When we think of all of it, we can even find things to be thankful for even in hardships. After all the Pilgrims didn't have it so good when they celebrated their day of giving thanks but they were grateful for what they did have. They must have thought about the people they left back in England, the people who died on the ships and those who perished that first harsh winter but even they found reason to be thankful. If they did, so can all of us. California company needs to be forced to honor service of Army Reservist? SAN JOSE, Calif. — The federal government is suing a Northern California firm for firing a deployed Army reservist. U.S. Assistant Attorney General Thomas Perez says those serving their country should be honored for their sacrifices rather than face discrimination because of their military obligations. The Justice Department filed the suit Monday against Mountain View-based Titan Laboratories, saying the firm violated a federal law that says those who leave civilian jobs to serve in the military must get their jobs back when they return. The San Jose Mercury News says the suit alleges Titan improperly fired warehouse manager Miguel Orozco Garduno last year. Garduno, who had worked at the industrial cleaning products firm since 2001, was told his deployment forced his termination. (CNN) -- Israel's military is using a new weapon to catch draft-dodgers: the social networking site Facebook. The army says it checks the home pages of those who have sought an exemption from military service because they are orthodox -- religiously observant. The pages sometimes provide evidence that the people have done things that a strictly observant Jew would not do. About 1,000 female Israelis in the past two years who had claimed to be orthodox have had to "rephrase their religious declarations" and do their military service after being found out, Israeli military spokeswoman Avital Leibovich told CNN. Called "the Marine Sgt. Michael H. Ferschke Jr. Memorial Act," the bill cleared the U.S. House last week with support from Democrats and Republicans. Supporters were hoping to push the measure quickly through the U.S. Senate as well, but Sessions' objections have slowed it down and could possibly dim its prospects of passing before Congress adjourns at the end of December. WASHINGTON - A Maryville woman who is trying to bring her widowed Japanese daughter-in-law and infant grandson to East Tennessee urged a U.S. Senator from Alabama on Tuesday to stop holding up a bill that would allow her family to be reunited. Robin Ferschke met with Sen. Jeff Sessions for about an hour in his office in Mobile, Ala., and made a personal plea for him to let the legislation go forward. "He said he does believe it should happen, that we need to make this right," Ferschke said. Sessions is the top Republican on the Senate Judiciary Committee, where the bill is pending. A number of Senate offices have raised concerns the bill language is too broad and would needlessly remove a whole class of immigration safeguards that do not apply to the Ferschkes' situation, said Sessions' spokesman, Stephen Miller. “We joined the army because of your novel and the movie,” two wounded soldiers told me at Walter Reed Army Medical Center. The novel and movie they referred to are First Blood, in which the character of Rambo was created. “Which means that I bear a responsibility for your being in this hospital,” I told them. Whatever I expected at the start of the first-ever USO authors’ tour, it wasn’t a conversation like that. Our journey took us to bases in Kuwait and Iraq, where our group (the other authors were Steve Berry, Andy Harp, Douglas Preston, and James Rollins) emphasized that we wrote made-up action while the troops experienced the real thing, and all we could hope is that our inventions helped to distract them from reality. Bullets whizzing through the air around her, Army medic Sarah Bushbye sprang into action to treat four soldiers severely hurt in a suicide bomb attack. She ignored the grave risk of more bombs and heavy gunfire to dash more than 100 yards across open ground to reach the men. Tragically, the two British and two Afghan servicemen wounded when a Taliban bomber detonated his device at the vehicle checkpoint in Sangin, Helmand province, lost their fights for life despite her desperate efforts. The citation with the combat medical technician’s medal said she worked to help the casualties with ‘flagrant disregard for her own safety’. Corporal Bushbye – she has been promoted since her exploits in December – received the medal from the Queen at Buckingham Palace.